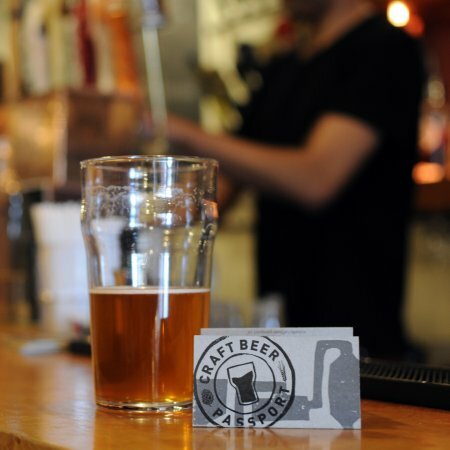 TORONTO, ON – Craft beer drinkers in Toronto who are interested in exploring some of the city’s rapidly expanding number of bars that specialize in their favourite beverage, while getting a bargain in the process, will have a great opportunity to do so starting tomorrow (May 21st) when the Craft Beer Passport goes on sale. Founded by street artist and indie music promoter Mike Stulberg, the $20 Craft Beer Passport will give holders the opportunity to visit 20 different bars and breweries throughout the city anytime between June 1st to November 30th, and try one of three select beers at each venue for only $2. If all participating locations are visited, the Passport holder will enjoy approximately $100 worth of craft beer for $60. The inaugural edition of the Passport will go on sale tomorrow via the CBP website. It will also be available at the participating establishments, and at a launch party taking place June 1st at The Piston (937 Bloor St. W.) which will also feature samples from several local craft breweries, music by Memorecks, and craft beer related door prizes.